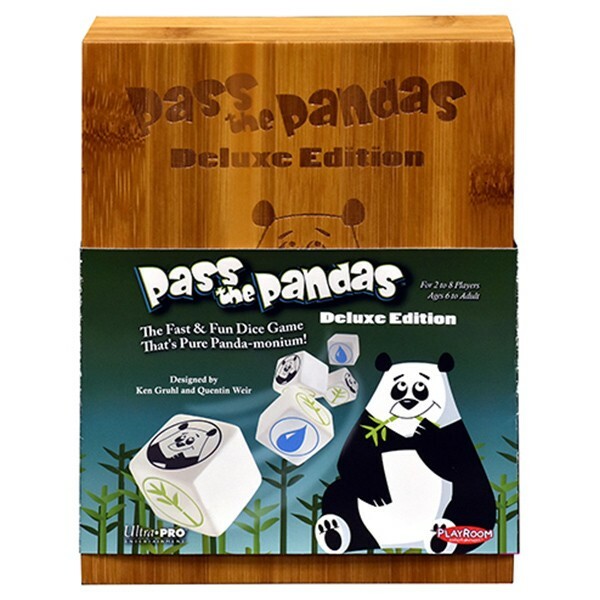 It's "Panda-monium" now that up to 8 players can join in the dice-rolling and panda-passing fun! Roll pandas, and you can pass those to other players. Roll water and it evaporates from the game. Don't get bamboozled - you have to roll at least as much bamboo as the previous player, otherwise you have to take some of theirs. Be the first to get rid of all of your dice to win the game!